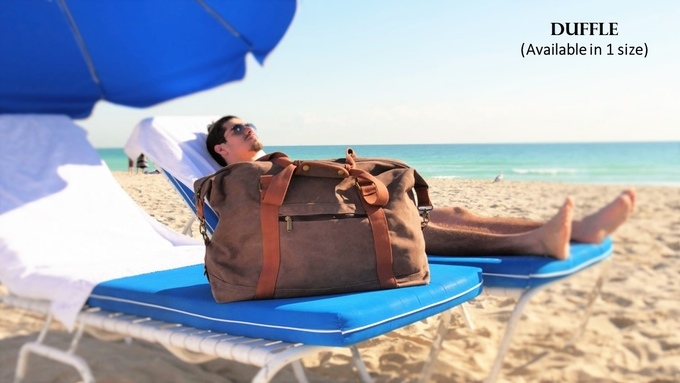 With the countdown to summer season on, Dezzio’s feature-filled design includes a cooler pocket, USB ports, 10 utility pockets and a sand discharge mesh for the perfect trip to the beach. 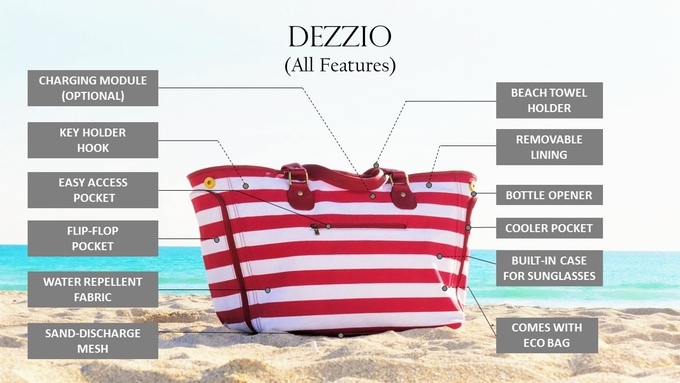 With two weeks remaining in its crowdfunding campaign, consumers have invested more than $50,000 ensuring the launch of DEZZIO this summer – a bag that is a must-have for not just the beach but also all other outdoor activities. The DEZZIO is designed to keep smartphones, wallets, sunglasses, valuables and all personal items at the beach, sand and water-resistant. With its optional built-in USB power charger, DEZZIO ensures that iPhones, tablets and other electronics never run out of power while users are out enjoying the sun, surf and sand. 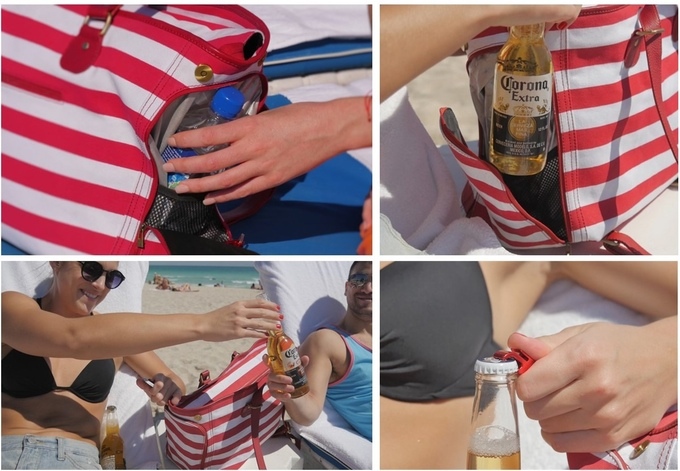 DEZZIO comes in three styles and different sizes for men, women and families and is perfect for the beach and beyond. DEZZIO is available for pre-order on Kickstarter with early-bird special pricing from $69 until its Kickstarter Campaign ends on Friday, May 20. 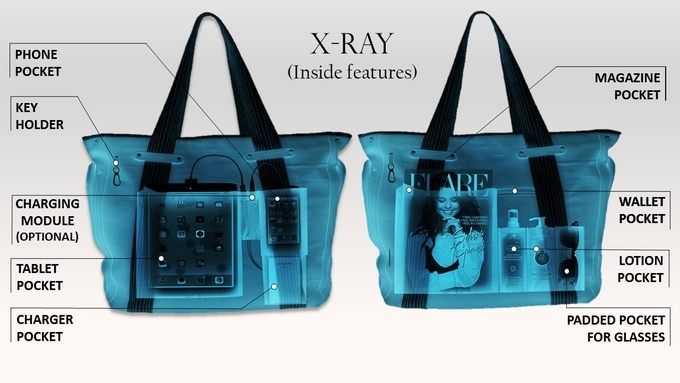 DEZZIO LLC is a Chicago-based product design firm that creates innovative designs for fashion products to enhance the experience of the end-user. 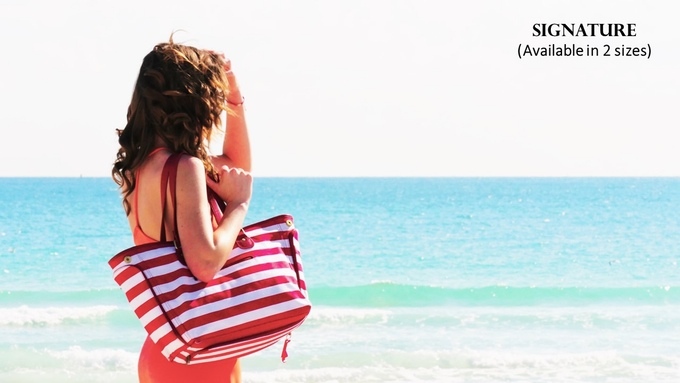 Co-founded by Aditi Agarwal, a fashion expert with an extensive experience in Fashion Technology and a Master’s in Fashion Marketing from ESMOD Paris, DEZZIO has launched the World’s First Functional Beach Bag on Kickstarter. Akshay Jain, Co-founder of DEZZIO, has a background in Investment Banking and is currently pursuing his MBA from the prestigious Kellogg School of Management at Northwestern University.